Welcome to Klondike Auto Service! As one of the premiere and most respected full-service maintenance and auto repair in Hallandale Beach, FL, our team at Klondike Auto Service is always here to help you get your car running like new again. Continually providing each individual customer with a high quality, trusted service at a very competitive price, you will quickly understand why we have such a great industry reputation. Regardless of your specific type of car, whether it’s a domestic or foreign made vehicle, truck, SUV, car or van, our team of highly trained and experienced ASE certified technicians will make sure that your car is fixed right the first time around. To ensure that your car is handled with care and professionalism at all times, we only use quality replacement parts for whatever issue your car may be faced with. In addition, the majority of the car parts that we use come with a warranty guarantee. Taking pride in being the best auto repair in Hallandale Beach, FL, we guarantee that your vehicle is always in good hands when you visit us at Klondike Auto Service. Unlike other repair centers in the area, we guarantee to correctly diagnose your vehicle the first time so that your valuable time and money is not wasted. With close to 20 years of experience, all of your expectation will not only be met, but they will be exceeded after visiting our world-class repair shop. Specializing in a wide range of different repair needs, like brake repair and maintenance, suspension work, routine checkups and air conditioning service, there isn’t one specific car related problem that we aren’t familiar with. 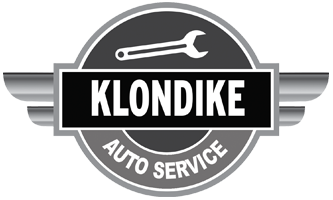 When it comes to auto repair in Hallandale Beach, FL, we promise that there is no other repair shop quite like us at Klondike Auto Service. If you are ever faced with an unforeseen car problem, we are always here to help.